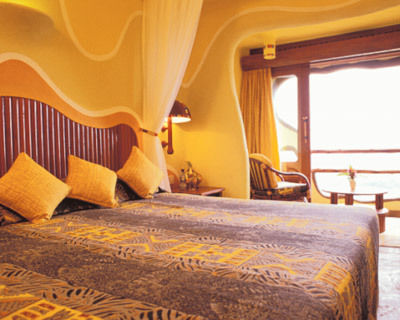 Drawing Mara Serena Lodge's inspiration from the traditional Maasai cultural motif of a cluster of domed, mud-coloured huts encircled by a 'Boma' of brushwood, the Mara Serena offers a rare blend of raw African splendour and sumptuous sophistication. 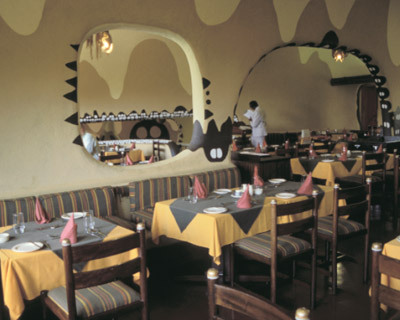 The essentially ethnic d�cor also draws on a vibrant colour-palette of sun-burst colours, embellished by a unique selection of Maasai art to create the look and feel of a traditional bush encampment. 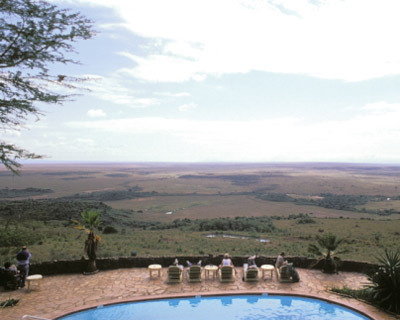 The lodge features individual rooms, each with their own balcony and view of eternity, a sky-blue swimming pool and a spectacular restaurant, overlooking a water hole where a fantasia of creatures collect to drink.